What I Say....I freaking loved this book. 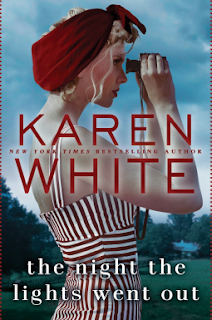 Karen White's ghost stories always scare the bejesus out of me - but I keep reading them - so I'm always so excited when she does a non-Tradd Street book. The Forgotten Room, (one that she co-writes with Beatriz Williams and Lauren Willig) was one of my favorite books last year. Merilee is fleeing a bad marriage and starting over in a small farmhouse, rented to her by an old lady who just wants to be left alone. But once Marilee and her children move in, Sugar discovers that maybe her life has been lonelier than she thought. As she shares the story of her life with Merilee, Sugar revisits a time in life when things were much different, and your life may have rolled out in a way that you never intended. I always love stories that go back and forth in time, comparing our lives as they are now to how people's lives unfolded back in the 50's. it's amazing how much has changed in not that much time. I read this while I was on vacation - I carried my Kindle with me for whenever I would have a free minute to get back to Sugar, Merilee and Heather's stories. It was hard to put down!